You can create a dynamic connection between an Excel workbook and a Microsoft Azure HDInsight (HDFS) data source, then refresh that connection whenever the data is updated. Use Excel's Get & Transform (Power Query) experience to connect to a Microsoft Azure HDInsight (HDFS) data source. Click the Data tab, then Get Data > From Azure > From Azure HDInsight (HDFS). If you don't see the Get Data button, click New Query > From Azure > From Microsoft Azure HDInsight. Enter the Account name or URL of the Microsoft Azure Blob Storage account associated with your HDInsight cluster, and click OK. In the Access Microsoft Azure HDInsight dialog box, enter your Account Key, and click Connect. Select your cluster in the Navigator dialog, and then find and select a content file. Click Load to load the selected table, or click Edit to perform additional data filters and transformations before loading it. Use Excel's Power Query add-in to connect to a Microsoft Azure HDInsight data source. You can download the Power Query add-in here. In the POWER QUERY ribbon tab, select From Azure > From Microsoft Azure HDInsight. In the Microsoft Azure HDInsight dialog box, enter an Account Name and click OK.
Next, enter your Account Key, and click Connect. Note: If you need to retrieve your key, return to the Microsoft Azure Portal, select your storage account, and click on the Manage Access Key icon on the bottom of the page. Click on the copy icon to the right of the primary key and paste the value into the wizard. Note: HDInsight has a default Hive table, HiveSampleData.txt, which you can use to learn how data is imported into Excel using Power Query. 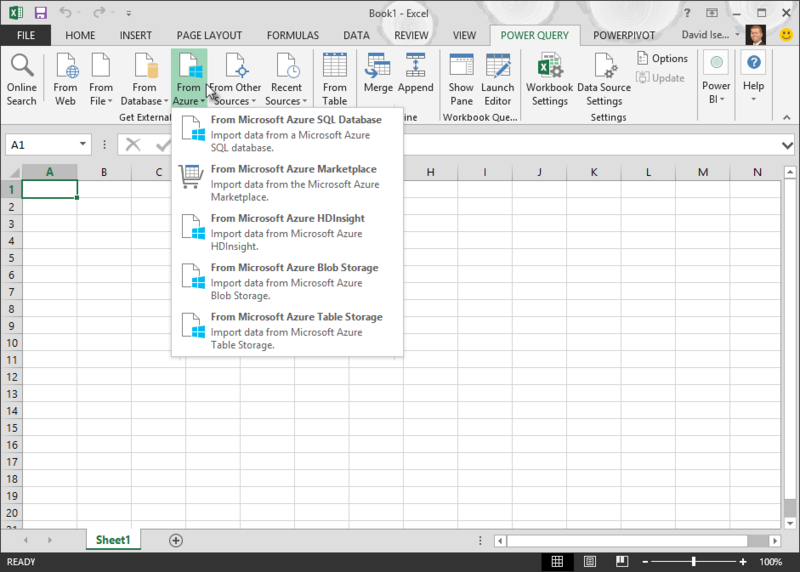 For a step-by-step guide about how to import data from HDInsight, see How to Connect Excel to Microsoft Azure HDInsight with Power Query.